This is a required item specified by our guide. Best if it’s water-resistant if it rains. This headlight is obviously useful in illuminating your trail when climbing the summit as well as for your co-hikers or guide to locate you. Sometimes when its pitch dark and with the rocky terrain, it may get quite dangerous if you can’t see the trail. A decent waterproof windbreaker, jacket, and a beanie would be great. You may start with a windbreaker but sometimes your windbreaker gets quite hot once you start climbing. But as you climb, it gets colder and you’ll need your jacket and beanie. 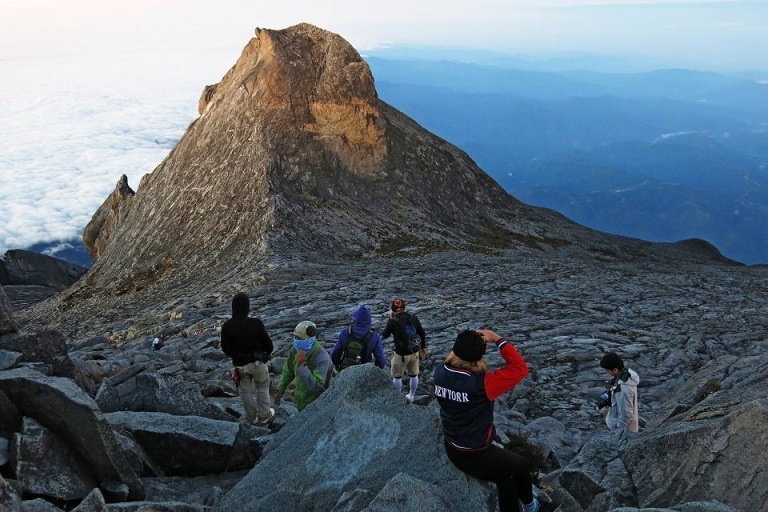 The temperatures near the summit can go as low as 3 to 5 degree Celsius. 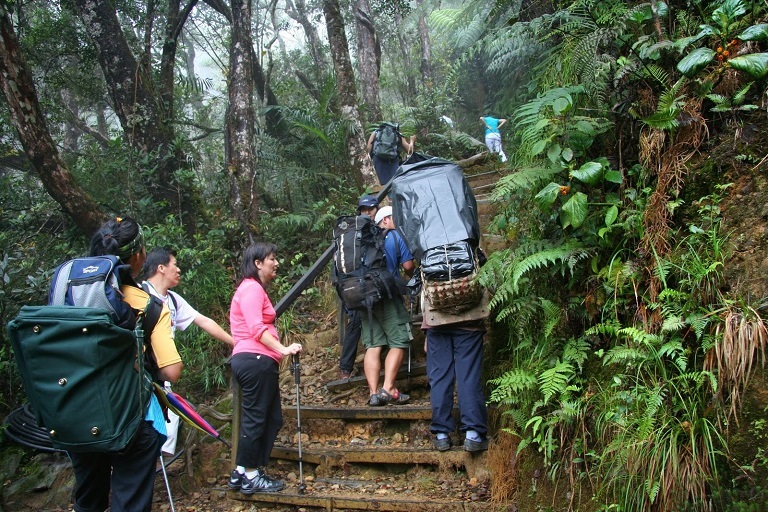 Mount Kinabalu often rains and get slippery too. This happens especially when nearing the summit. Some may prefer waterproof shoes. This is to avoid slipping or any accidents during your hiking on a rainy day. 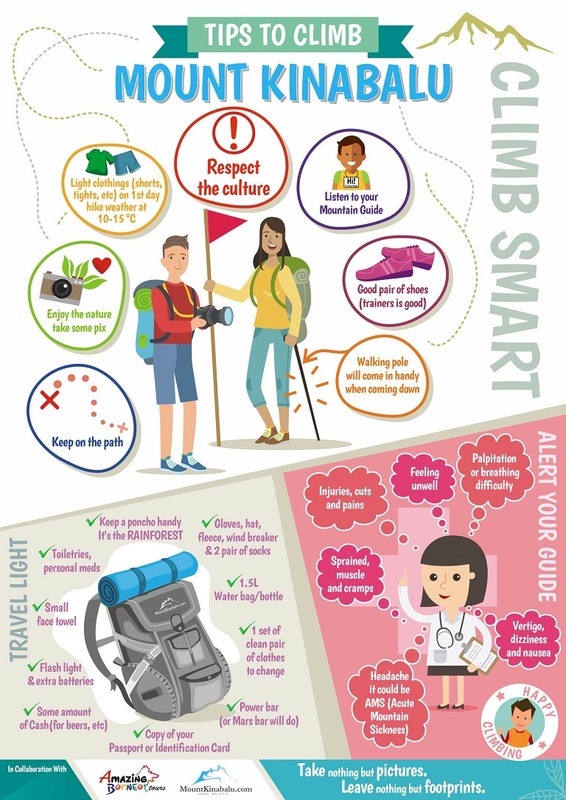 It’s always best to wear well-designed trekking shoes that you are comfortable with. This is something very important and may not cross in hikers' mind. At one point before reaching the summit, you had to climb by grabbing a rope. In order to escape rope burns while keeping warm, be sure to prepare yourself with a thin pair of water-resistant gloves with a strong rubber grip. Hiking pole will help you bear some weight that is put on both of your knees. It will reduce some pain, as the climbing up and down is very strenuous compared to your daily usage of the legs. It will also increase your hill climbing power by spreading the load more evenly around your muscles.